A day trade is defined as buying a stock after 9:30 AM EST, the US stock market opening time, and selling it before 4 PM when the market closes. Day trading is a momentum trading style that has the potential to yield massive returns on investments in just minutes or hours if executed correctly. Many stocks at the market open have high levels of volatility. While long term investors avoid volatility, day traders thrive. The volatility at the market open allows day traders to make 5%,10%, and sometimes even bigger returns in just a few minutes or hours. Often stocks will have catalysts occur outside market hours that causes them to open lower the next day. Since a day trade will not involve you hold your position overnight, you are not exposed to overnight risk. As a day trader, you can sleep sound at night without having to worry about one of your positions dropping during after-hours trading. Day trading has a very high reward potential, but you have to know the correct strategies and manage your risk when a day trade goes against you. Day traders must be able to protect their downside in order to grow your trading account. No trading strategy wins 100% of the time, despite what you see on Twitter. Even the best traders in the world have losing trades. Risk management is not optional. You have to exit stocks when they start to go against you. One of the primary reasons why so many fail at day trading successfully is because they have no risk management, and they over leveraged. This is also referred to as margin accounts, which are accounts where you borrow money from your broker to trade large positions sizes. This amplifies your gains, but also your losses. If not done correctly, you can go into debt with your broker. You can make money for 30 days in a row, and 1 day where you fail to manage your risk can cost you all of your money. There are tons of different day trading strategies out there. Many of them will not work for you because they are not suited to your personality or risk tolerance. 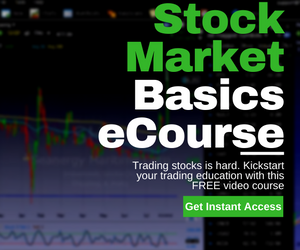 It is crucial that you get a comprehensive day trading education and mentorship so that you can quickly find and utilize day trading strategies that can consistently make you money. If you are wondering how to get started day trading stocks, fill out our free trader assessment here and we will go through all of your goals in detail. Don’t procrastinate on your success. Make this the year where you hit and exceed all of your trading goals.